Since the fall of communism more than fifteen years ago, Central Europe has become an even more important place for social, economic and cultural change. The Arts & Architecture Program provides students the opportunity to spend an academic semester studying, living, and traveling in the heart of Europe. 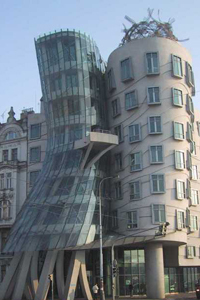 The program is based in Prague; it combines formal instruction held in the institute’s unique headquarters, the Czech National Museum of Modern Art, with study trips to some of the most beautiful cities of Central Europe, including Vienna, Budapest, Krakow and Berlin. Students are required to take the 12-week core courses: Religion, Culture, and Politics of Central Europe and the 19th & 20th Century History of Central Europe. Students may choose 2 additional 12-week core courses, in addition to the two required 12-week core courses. Students may choose one course from the list of 6-week elective courses. Students may choose one course from the list of 3-week courses.